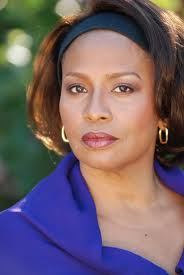 Former cast member of the popular television series Fresh Prince of Bel-Air, Jenifer Lewis was diagnosed with bipolar disorder in 1990. She admits she knew for years that something was wrong. Lewis says she deals with her mental health issues every day, but she’s happy with her life thanks to really loving herself. “You have to look in the mirror … and say—before you can go or grow into anything—you have to say you love yourself,” she says. Bipolar disorder — sometimes called manic-depressive disorder — is associated with mood swings that range from the lows of depression to the highs of mania. Now, R&B sensation Chris Brown’s behavioral problems may be the result of a mix of bipolar disorder and post-traumatic stress disorder, E! News reports. The singer was in court on Friday (February 28) for a progress hearing in his 2009 assault case after he was sentenced to spend 90 days in rehab in November. The entertainer’s rehab facility confirmed that Brown has been diagnosed with bipolar II disorder, severe insomnia, and Post Traumatic Stress Disorder. Having a feeling of being “high” – so high, in some cases, that one feels invincible. This is often accompanied by the feeling that one has special powers or is godlike. Dealing with racing thoughts that jump from subject to subject so quickly that it’s difficult to keep up or concentrate on one thing. Talking so quickly that others can’t make sense of what one is saying, and feeling jumpy and restless. Staying up all night or sleeping for only a few hours at a time, but never feeling tired the next day. Exhibiting reckless behavior, such as sleeping with multiple people, making risky business investments, spending money on large, expensive items, quitting a job, and so on. Managing bipolar disorder starts with proper treatment, including medication and therapy. But there is so much more you can do to help yourself on a day-to-day basis. Unfortunately, bipolar disorder tends to get worse if you don’t get the proper care. Having an inability to experience pleasure or joy. Being plagued by feelings of hopelessness and inadequacy. Feelings of worthlessness and guilt are also common. Sleeping more than normal and feeling tired and sluggish all the time. Gaining weight and having changes in appetite. Experiencing thoughts of death and suicide. If you feel like you may show signs related to bipolar disorder, talk with your doctor. Millions of Americans have bipolar disorder. Bipolar disorder is a mental illness and can develop at any point in a person’s life. Just like heart disease or diabetes, it requires medical treatment. By ignoring the signs of bipolar disorder you may put yourself in danger. Mood swings may increase and become more frequent. Furthermore, not seeking help could lead to thoughts of suicide. Treatments can be effective for many people with bipolar disorder. Doctors may prescribe medications that can help stabilize your moods. Through therapy, you can discuss feelings, thoughts, and behaviors that cause problems in your social and work life. With the right help, you can learn how to master these so you can function better and enjoy life.